Q. What are parallel and multi-programmed batched systems? 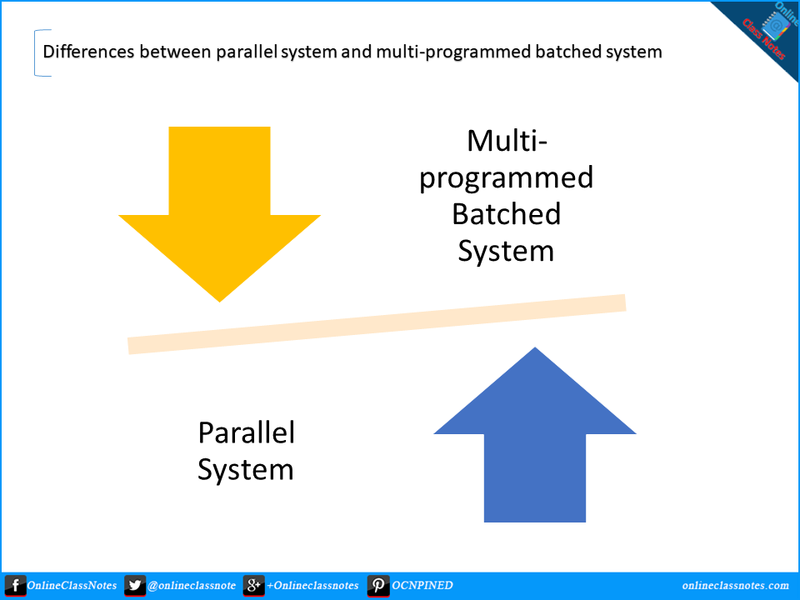 What are the differences between parallel and multi-programmed batched systems? System that operates on a machine with 2 or more processors. System that can run 2 or more processes at a time is multi-programmed batched systems. This system is dependent on processors. That is all processors can complete segments of a single task or can be processing different processes. This system depends on devices. That is, it depends on devices to switch between tasks such I/O interrupts etc. Example: Windows 95, MacOS etc.